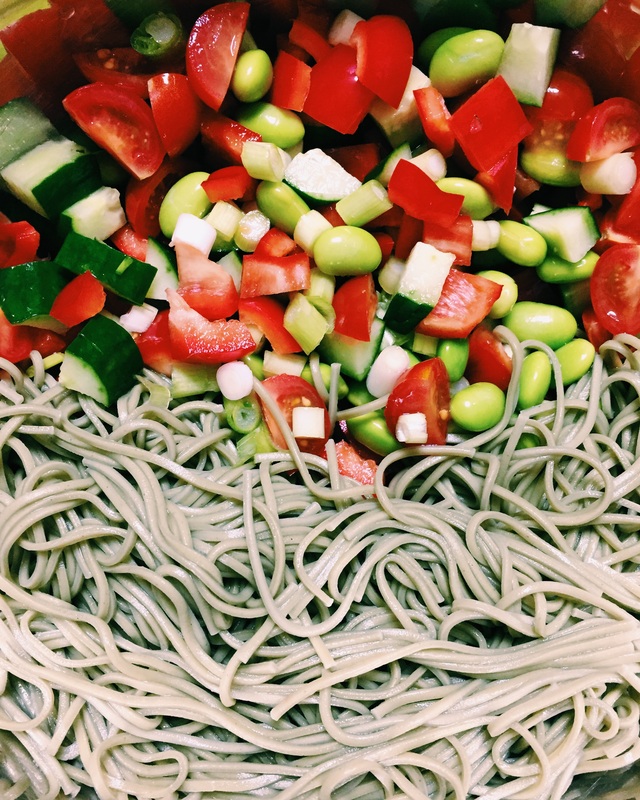 Constantly inspired by Japanese ingredients/slightly soba obsessed. I tried matcha soba (green tea soba) for the first time tonight and I loved it. 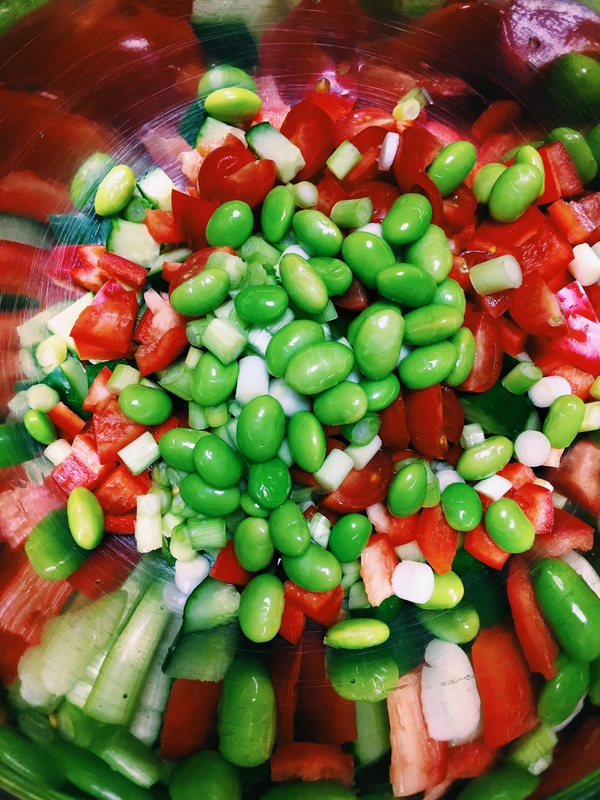 This spicy salad is a great option for a healthy lunch or dinner. Cover the diced eggplant in 1tsp of olive oil and 1tsp garlic powder and bake in a toaster oven or sauté in a frying pan until cooked – sorry that was vague, you’ll be fine no one ever died of raw eggplant. green tea soba? that sounds so crazy but i really want to try it! does it have that matcha-bitter taste?